The summit will take place on the 4th and 5th September 2019, Paris, France. The two days event will give you an extensive view on the European utilities market. Discuss successful TSO’s and DSO’s partnerships , new energy storage technologies. Meet Industry representatives and companies involved in the Digital Technologies and energy storage. e-vehicles manufacturers, Communications providers, data processing, analytics, services providers & consultants. 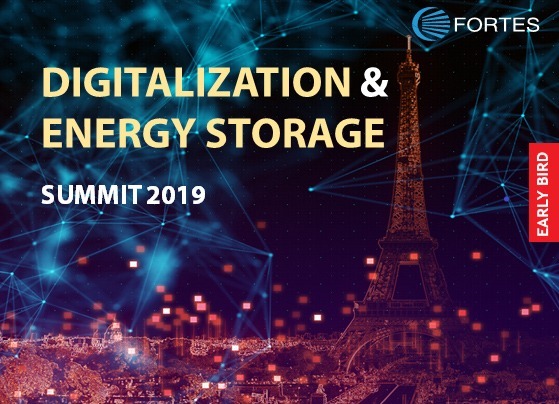 Gain a comprehensive overview of the digital utilities transitions and actual energy storage usage on this 2 day event filled with presentations from industry end-users and running projects case studies. Hear experts focus on new regulatory framework, fast paced market situation and more. Network and exchange ideas with colleagues from the energy industry.